It can be difficult to avoid information overload—everyone, it seems, will have advice to share with you. 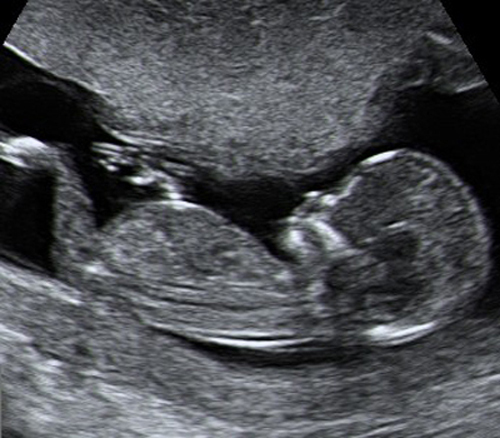 This 2D ultrasound shows the profile of the baby particularly well. The nasal bone can just be seen at the bridge of the nose, as can bright echoes from the lower and upper jaws; the umbilical cord is rising from the center of the abdomen. One side effect of pregnancy all women have to deal with is conflicting information and advice. One article says to do something, while a friend says the exact opposite. It can be confusing and irritating. While you can choose to stop reading a newspaper or turn to a different television channel, it’s more difficult to avoid the unwanted advice of other women. Even more difficult is the advice from close relatives, such as your mother and mother-in-law. You’ll need the support of your family and friends, so won’t want to alienate them, but don’t feel pressured to act in a certain way. Also don’t reject everything immediately—some of the advice may in fact be useful and accurate. If someone is persistently advising you explain that you’re overwhelmed by information and would rather not talk about the pregnancy at this time. Or listen to the person’s advice, smile politely, and then do what you want. You could subtly hint that you will ask for advice as and when you need it. Q: Why are varicose veins common in pregnancy and what can I do to avoid getting them? A: Your blood volume increases up to 30 percent during pregnancy, due to the added needs of your baby and your expanding body. In addition, the hormone relaxin (which is produced to soften ligaments and joints) also softens the walls of your blood vessels. The blood vessels relax and the increased blood and extra weight of the baby make you susceptible to varicose veins. Avoid sitting or standing in one position for prolonged periods: walk around regularly, moving your arms as you do so to increase the blood flow in your body. Exercise daily: most forms of cardiovascular exercise will help increase blood flow. Water aerobics is a good choice since the pressure of the water helps increase blood circulation. Sleep with your legs slightly elevated by placing a pillow under your bottom sheet at the end of your bed. Give yourself a hair makeover. 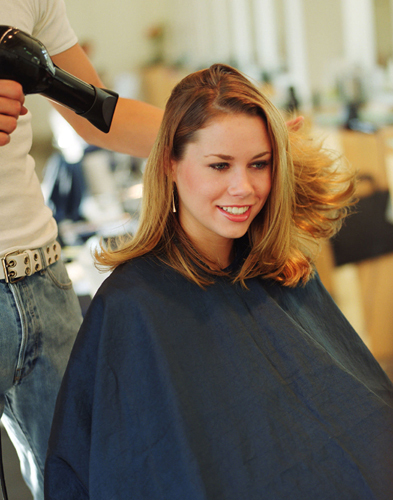 The second trimester is a great time to pamper yourself with a new haircut and color. Your new hairstyle will complement your glowing skin. There is no evidence that the chemicals in hair dyes are harmful for your baby although only a limited amount of research has been done on pregnant women. If you’re cautious, skip the chemicals and get a new cut. If you’re worried stick to highlights, which don’t expose the whole scalp to dye and make sure the room is well ventilated. When coloring your own hair, do so in a well-ventilated space and always wear the gloves provided. Like many pregnant women in the second trimester, you may now be reaping the benefits of the pregnancy “glow,” as hormones improve the appearance of your skin and hair. Enjoy this time and the attention that often comes with it. 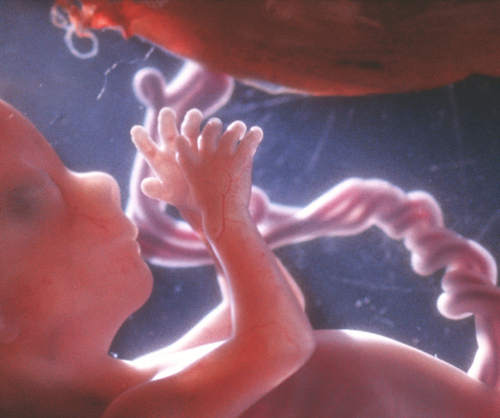 Amazingly, your baby’s ears have formed enough for him to hear you speaking. He’ll recognize your voice—and your partner’s—when he comes out into the world. You may not feel as though you are pregnant at the moment. The beginning of the second trimester is an interesting transition period: you know you’re expecting a baby—you’ve seen the ultrasound scan—but you may not look or feel that pregnant, and you won’t feel the baby move for several weeks yet . The physical reminders that were common in the first trimester—such as nausea and fatigue—may have greatly lessened or passed entirely. Many women say they feel completely ordinary and find this strange because they think that they “should” be feeling something. Try to enjoy this time and keep looking at that scan picture if you need a reminder that your baby is there. 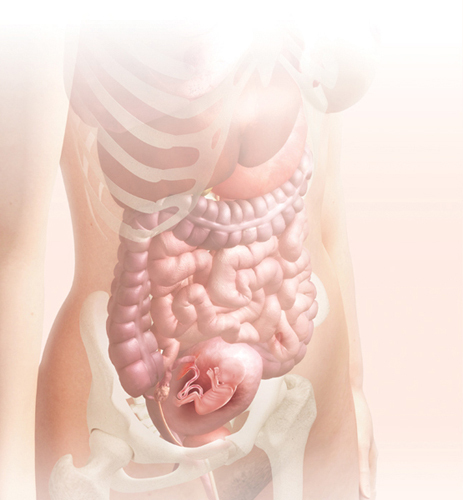 You may long to feel normal once you hit the third trimester and some of that fatigue returns. It’s a fact that what you eat could make your baby’s brain and nervous system work better. Recent studies suggest that women who eat a diet enriched in omega-3 fatty acids during pregnancy and breast-feeding may enhance their baby’s language development, IQ, and cognitive development. These essential fatty acids may also decrease allergies in children of mothers who eat them during pregnancy and breast-feeding, and decrease postpartum depression although more research is needed. Omega-3 fatty acids are found in oily fish. In fact, only seafood contains two essential omega-3 fatty acids; essential because the body can’t manufacture them. Although fish is a main source of omega 3, you need to ensure you don’t consume varieties that are high in mercury . Salmon and anchovies are two oily fish that are low in mercury yet rich in omega-3 fatty acids. Wild salmon is a particularly rich, and delicious, source of these healthy fatty acids. Other nonseafood sources of omega-3 fatty acids are canola oil, walnuts, flaxseed, and omega-3 enriched eggs. These sources contain only one essential omega-3 fatty acid, but it is still worth eating them. Note that flaxseed, which is also a great source of fiber, must be ground for the body to absorb it. Sprinkle it on cereal or yogurt. Make the effort to set aside time for you and your partner to be alone together while she’s pregnant. Whether it’s an evening out once a week, or that weekend away you’ve been promising yourselves for ages, do it now! Remember, the second trimester is also a good time to go on vacation. It’s common for there to be fundamental changes to a relationship when a baby arrives; some new fathers feel a bit pushed out, especially in the early weeks. By spending time together now, you will build a greater bond for when the baby is born and feel satisfied that you enjoyed lots of pleasurable time together during the pregnancy.